Patron of the Forum is Federica Mogherini, the High Representative of the European Union for Foreign Affairs and Security Policy and Vice-President of the European Parliament. 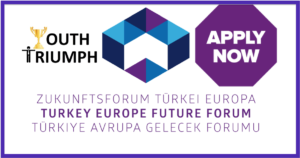 The Turkey Europe Future Forum is a project of Foundation Mercator in cooperation with TUSIAD, under the patronage of Federica Mogherini- the European Union High Representative for Foreign Affairs. The forum started in 2015 and has been bringing together young leaders from Turkey and Europe for intensive dialogue in Germany, Turkey and other European countries. The Forum will take place in Istanbul and Eskisehir from July 7-14. It will be titled- “Turkey and the EU: Overcoming Common Challenges and Bilateral Tensions”. In each annual Forum, 30 outstanding young leaders will be gathered for an intensive exchange of ideas, substantial training measures and access to an important network. Costs for travel and accommodation are covered by the organizers. The aim of the Forum is to strengthen networking and enhance mutual understanding among future decision-makers of Germany, Turkey, and other European countries. Top-level speakers, and professionals will provide exclusive insights into the economy, politics, culture and society of the participating countries. During the Future Forum, participants will participate in 8 days of lectures, workshops and intercultural trainings about a current issue and debate it from their country- and sector-specific perspectives. All project related expenses will be covered for participants of the program- travel expenses from Europe and Turkey to the Forum’s venue in economy class, public transportation to and from the airport to the hotel, accommodation and meals during the event. The Forum does not cover any travel or additional costs incurred through participants’ personal expenses. Strong interest in the respective topic of the Forum as well as European-Turkish relations.